This week sadly saw the loss of another member of the Star Trek family, this time producer/writer Harve Bennett who began his association with the franchise as a Producer on Star Trek II: The Wrath of Khan. Already a veteran television producer with credits including Mod Squad, The Six Million Dollar Man and The Bionic Woman, Bennett was brought into the Star Trek fold by Paramount Pictures, unimpressed with Gene Rodenberry’s troubled production of the over-budget (yet financially successful) Star Trek: The Motion Picture. Unfamiliar with Star Trek at this point, Bennett viewed all 79 episodes of the original series and it was “Space Seed” that he singled out as a springboard for the next Star Trek feature film. With Director Nicholas Meyer, Bennett sought a fresh approach to the world of Star Trek that would reinvigorate the franchise yet oddly bring it closer to the spirit of the original series. Star Trek II: The Wrath of Khan would be a resounding success and Bennett would go on to produce sequels Star Trek III: The Search for Spock (which he also wrote), the massively successful Star Trek IV: The Voyage Home (co-writing the screenplay with Nicholas Meyer) and the William Shatner helmed Star Trek V: The Final Frontier – where he made an onscreen cameo as a Starfleet Admiral. Whilst some elements of Bennett’s reinterpretation of Star Trek are still divisive (the more militaristic depiction of Starfleet for example), he brought the heart and soul of the series to the fore and much like J.J. Abrams some years later realised that it was the characters that were much beloved and drove the stories. It’s also ironic that Bennett had originally pitched an idea for Star Trek VI which would have featured a new cast portraying the younger Kirk, Spock, McCoy et al at Starfleet Academy. Harve Bennett’s contribution to the Star Trek franchise was more than significant and ensured its longevity both on the big screen and on television (Star Trek: The Next Generation would not have been possible without the success of The Voyage Home) where it has evolved and reinvented itself for almost fifty years and will continue to do so for decades to come. Harve Bennett died 4th March 2015 aged 84. You can read the GBUK Classics review of Star Trek II: The Wrath of Khan here. 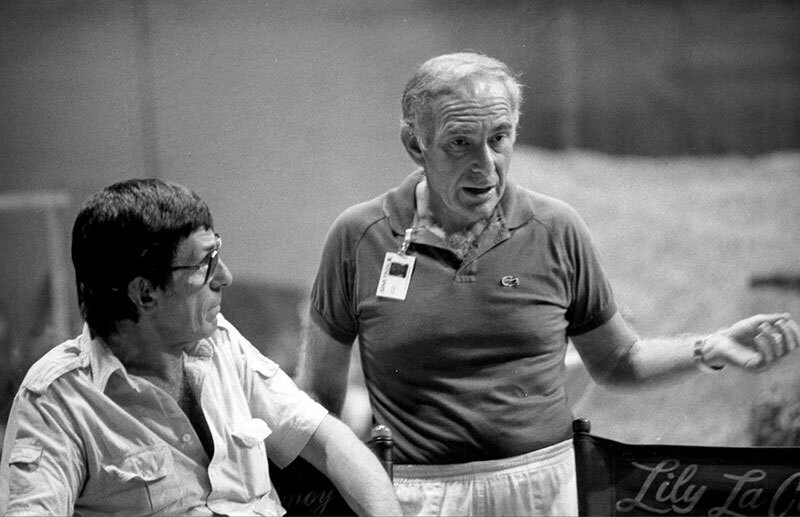 Producer Harve Bennett oversaw the production of four of the original ‘Star Trek’ feature films including ‘Star Trek III: The Search for Spock’ which saw the directorial debut of Leonard Nimoy.